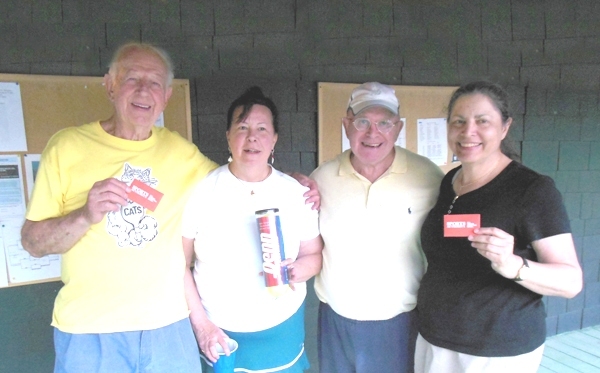 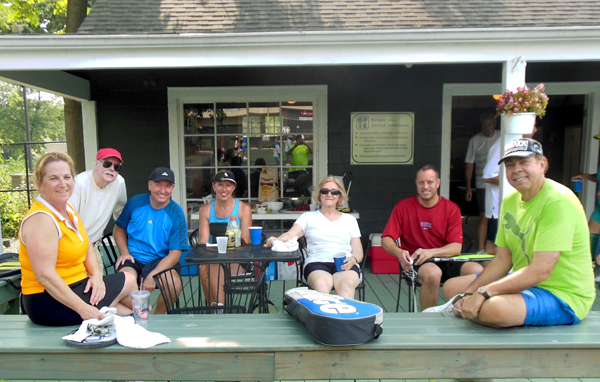 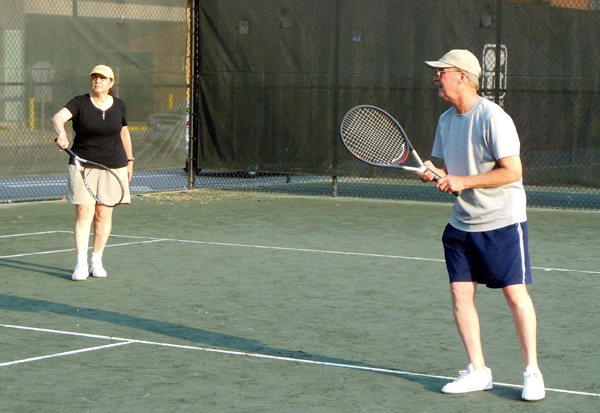 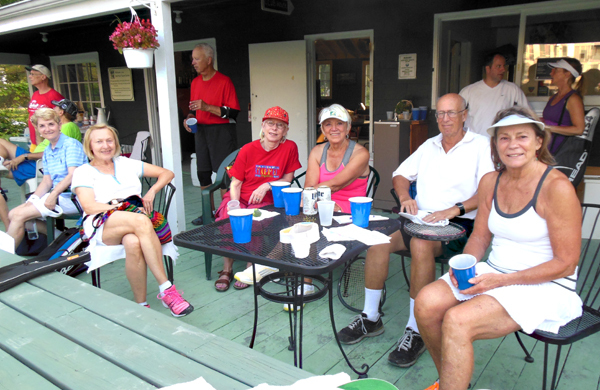 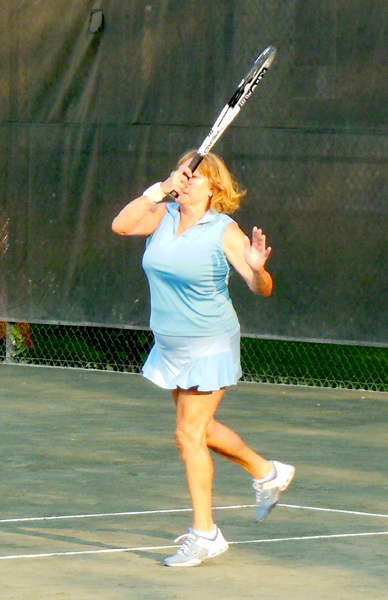 Fifty-one CATS members and friends took part in a round-robin tennis tournament on July 20 at the Oak Park Tennis Center, and seven more came to watch and socialize. 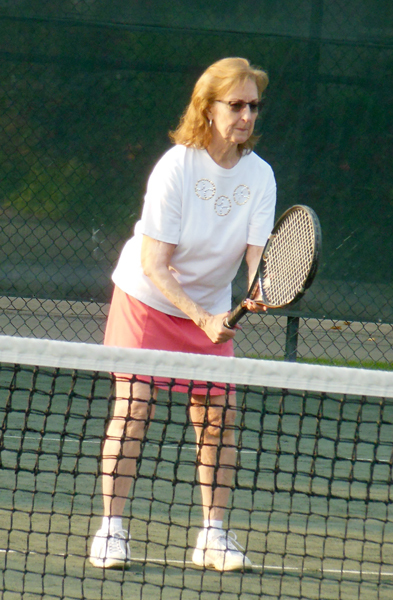 Jo Ellen Reed organized the outing. 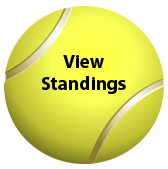 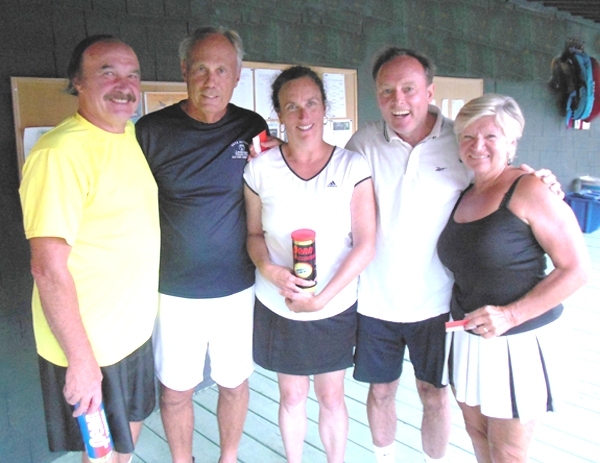 Winners of Level 3: Susan McKenna, 16 wins, and Karen Hirsch, 21 wins; Dave Fitzgerald, 17 wins, and Art Banach, 23 wins. 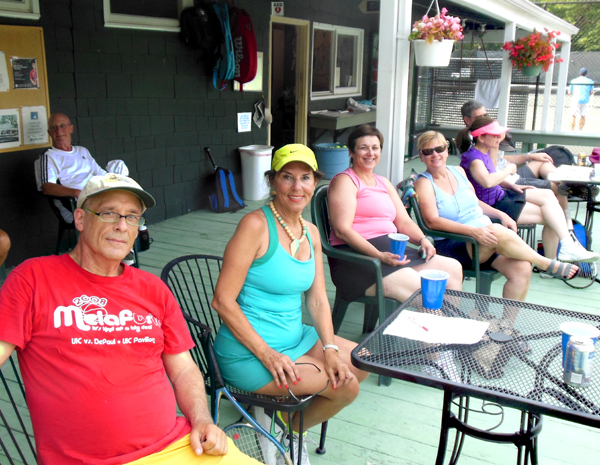 Winners of Level 2: Michelle Watters and Karen Topp, 19 wins, and Olga Connor, 21 wins; Arne Lewis, 21 wins, Ken Prestridge, 22 wins, and Jose Valle, 23 wins. 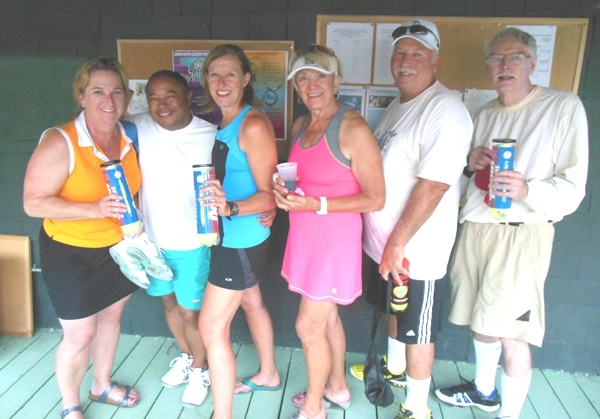 Winners of Level 1: Heidi Millman, 18 wins, and Mooky Sire, 23 wins; Jerry Peel and Art Horton, 18 wins, and Bill James, 22 wins. 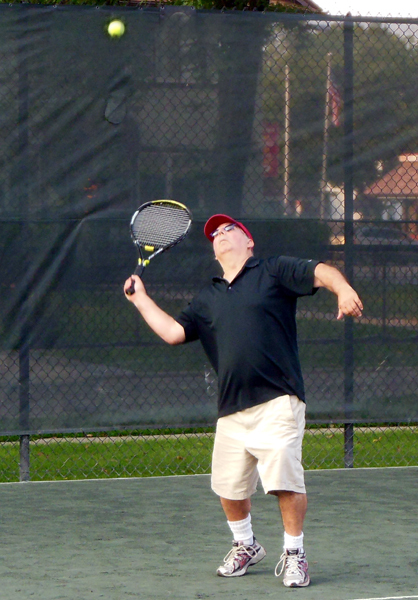 Thanks to Bill Himmelmann for taking the photos.